The Titanic X-Files concerns the supernatural, otherworldly, or just plain mysteries about Titanic and has been updated with some newer information since I last updated it a few years back (on the Titanic News Channel website). I see a lot of queries about the mummy, no pope and other related issues. One item deleted and moved to Titanic Sinking Theories are conspiracies. I think those entries are better placed there rather than here. 1. Was There A Cursed Mummy Aboard Titanic? The Princess of Amen-Ra lived some 1,500 years before Christ. When she died, she was laid in an ornate wooden coffin and buried deep in a vault at Luxor, on the banks of the Nile. In the late 1890s, 4 rich young Englishmen visiting the excavations at Luxor were invited to buy an exquisitely fashioned mummy case containing the remains of Princess of Amen-Ra. They drew lots. The man who won paid several thousand pounds and had the coffin taken to his hotel. A few hours later, he was seen walking out towards the desert. He never returned. The next day, one of the remaining men was shot by an Egyptian servant accidentally. His arm was so severely wounded it had to be amputated. The 3rd man in the foursome found on his return home that the bank holding his entire savings had failed. The 4th guy suffered a severe illness, lost his job and was reduced to selling matches in the street. Nevertheless, the coffin reached England (causing other misfortunes along the way), where it was bought by a London businessman. After 3 of his family members had been injured in a road accident and his house damaged by fire, the businessman donated it to the British Museum. As the coffin was being lifted up the stairs by 2 workmen, 1 fell and broke his leg. The other, apparently in perfect health, died unaccountably two days later. Once the Princess was installed in the Egyptian Room, trouble really started. Museum’s night watchmen frequently heard frantic hammering and sobbing from the coffin. Other exhibits in the room were also often hurled about at night. One watchman died on duty causing the other watchmen wanting to quit. Cleaners refused to go near the Princess too. When a visitor derisively flicked a dust cloth at the face painted on the coffin, his child died of measles soon afterwards. Finally, the authorities had the mummy carried down to the basement figuring it could not do any harm down there. Within a week, one of the helpers was seriously ill, and the supervisor of the move was found dead on his desk. By now, the papers had heard of it. A journalist photographer took a picture of the mummy case and when he developed it the painting on the coffin was of a horrifying, human face. The photographer was said to have gone home then, locked his bedroom door and shot himself. 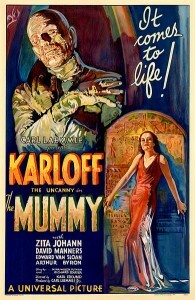 Soon afterwards, the museum sold the mummy to a private collector. After continual misfortune (and deaths), the owner banished it to the attic. A well know authority on the occult, Madame Helena Blavatsky, visited the premises. Upon entry, she was seized with a shivering fit and searched the house for the source of “an evil influence of incredible intensity.” She finally came to the attic and found the mummy case. “Can you exorcise this evil spirit?” asked the owner. “There is no such thing as exorcism. Evil remains evil forever. Nothing can be done about it. I implore you to get rid of this evil as soon as possible.” But no British museum would take the mummy; the fact that almost 20 people had met with misfortune, disaster or death from handling the casket, in barely 10 yrs, was now well known. The legend of a cursed mummy began not long after the Titanic disaster. Supposedly the mummy of an ancient Egyptian princess, whose curse warned not to disturb her tomb, was placed aboard the Titanic. Then we are supposed to believe that the ancient gods of Egypt condemned everyone on Titanic to death for this desecration. The ancient princess referred to was Queen Hatshepsut who did rule Egypt about 1640 b.c.e. Her tombs (there are apparently three that were built) do exist but her mummy has never been positively identified although there are some that could be hers. Additionally no curse exists or has been found in any of her tombs. Nor is there any proof she was loaded aboard the Titanic. In short, no proof has been found to substantiate almost all of the facts claimed in most versions of this story. Nor that the mummy was in the British museum, which by the way fields calls and letters to this day asking about the cursed mummy. As to the curse, it should be noted that the most famous curse of all- King Tut- was a fabrication as well. In this case it was created by Howard Carter to keep people away from the tomb. While much has been made of some prominent deaths after the discovery, the vast majority of people who were involved in the excavation lived long lives, including Howard Carter who discovered the tomb. Barbara Mickleson over at Snopes.com did an examination of the legend and found new information (at least to me) about how this legend came about. It comes down to an inner coffin lid and a desire to get publicity for a new book. It turns out that writers William Stead and Douglas Murray, who were writing a horror book about an Egyptian mummy, decided to use this coffin lid with the image of an unidentified woman (possibly a priestess of Isis) to generate interest. They concocted stories of items being moved around in the area of the British museum, strange noises, frightened workers and even a death and crafted the legend it being cursed. Needless to say, it was all a fabrication. The inner coffin lid is at the British Museum and there is no mummy that came with it (apparently still in Egypt). 2. Did The Book “Wreck of the Titan” Foresee The Tragedy? In 1898 the book Futility (later retitled Wreck of the Titan when republished after Titanic tragedy) by Morgan Robertson was published. The book told the story of a large ship called Titan which struck an iceberg on her maiden voyage in which close to 3,000 people died. As one can gleam from the table, there are similarities between the two ships. While similarities abound, there is no real proof that can be put forward this was a psychic forewarning of the tragedy. For instance, it is more than likely that Robertson learned of White Star’s plans to build a fleet of giant passenger ships that would travel the North Atlantic route (New York-Southampton).In 1892 the White Star Line announced it had commissioned Harland & Wolff to build large Atlantic steamers. Many newspapers carried information about it (like the New York Times on September 17, 1892). The New York Times article mentions a ship called Gigantic would be built and many of the specifications given are close to what Robertson used in his book. It is not hard a stretch to believe that Robertson used this information when writing his book. When the watch turned out at midnight, they found a vicious half-gale blowing from the northeast….a fairly uncomfortable whole gale of chilly wind. The hard sea, choppy as compared with her great length, dealt the Titan successive blows…. A fog-bank, into which the ship had plunged in the afternoon, still enveloped her…. But in five seconds the bow of Titan began to lift, and ahead, and on either hand, could be seen, a field of ice which arose in an incline to a hundred feet high in her track. But a low beach, possibly formed by the recent overturning of the berg, received the Titan, and with her keel cutting the ice like steel runner of an iceboat, and great weight resting on the starboard bilge, she rose out of the sea, higher and higher-until the propellers in the stern were half exposed-then meeting an easy spiral rise in the ice under her port bow, she heeled, overbalanced, and crashed down on her side to starboard. Crucial differences such as these support the proposition that Robertson’s book was not a psychic forewarning. Rather the book was made one after the demise of Titanic. Certainly many books can be considered prophetic after the fact. Oliver Stone produced a movie called Wall Street which was about an evil mogul and a naive stockbroker. Yet news was soon filled with real-life stock manipulators like Michael Milkin. A coincidence to be sure. Just like in 1912 when Titanic sank the publishers of Futility decided to reprint the book under a new title,Wreck of the Titan. Behe, George & Goss, Michael, LOST AT SEA, Prometheus Books, 1994. Chapter six of this book deals specifically with occult warnings of Titanic’s demise. When one gathers up all the various supposed supernatural warnings, Titanic was doomed! Throw in the mummy curse and this ship was lucky to have even left Southampton. Some have claimed to have precognitive dreams as well of the disaster. One explanation that people turn to superstitution to explain tragedies is that we do not see improbable events as probable. Yet the chance of something bad or something good, however improbable, is possible. When you buy a lottery ticket the statistical chance of winning is low but not improbable. Same with disasters. Many have sought supernatural explanations for the loss of ships. The whole concept of the “Bermuda Triangle” is to try to explain ships disappearing. Various explanations by sensationalist authors have put forth theories like vile vortices, cursed ships, alien spacecraft, and Atlantis to name a few. Yet in most cases one can draw rational answers from studying shipping reports and weather forecasts for the day concerned. A ship that disappeared during a storm is likely to have suffered a fate known to all sailors. In the end, most of the supernatural warnings are probably nothing more than coincidence at best. And finally number 390904 does not read as NO POPE when read backward, forward, or viewed as a mirror image. 4. Was Someone Buried Inside The Hull? Another popular legend is that a worker got buried in the hull. According to the legend, workers and even passengers heard someone banging from inside the hull. While accidents did occur at the ship yard, there is certainly no proof anyone was entombed in the hull. Wags say that perhaps it was the mummy that was trapped inside the hull. From time to time various people have come forward to claim they are related to people who survived Titanic or perished that night. So many claims have come up that one could write a whole book on the subject. Why do people make such false claims? The general reason is to gain attention. After all, claiming to be related to a person on Titanic offers a certain cache. While imposters can and do fool people, fortunately there are ways to often to verify the accuracy of a claim. A fairly complete list of passengers is available and many scholars, both professional and amateur, have studied the many people aboard Titanic. Additionally various public records are searched and checked to make sure a claim is legitimate. From time to time some on the Internet have claimed to be descendents but often, unless proven, such claims should be taken warily. Another area of concern is fake memorabilia. Ever since the great ship went down, and especially after the recent movie, the desire to acquire things Titanic has grown. However with the exception of coal sold by RMS Titanic, the company in charge of the salvage operation, nothing brought up from Titanic has been sold publicly.On occasion items do appear at auction houses from families of survivors. Thanks to the resurgent interest, the price of Titanic collectibles has swung up. So families do put items up for auction and usually they are authenticated before auction. The premium on these rare collectibles, usually letters or other items, is pretty high. Be on the look out for anyone who claims to have “genuine” artifacts from the Titanic. More often than not, they are fakes. Be especially careful of so-called signatures of survivors. Perhaps the most notable story in recent years. In 1940 Helen Kramer of Berkley, Michigan claimed she was Loraine Allison, the daughter of Hudson and Bessie Allison who perished with them in 1912. Their infant son, Trevor, did survive because Alice Cleaver (the nursemaid)took the child and headed out presumably to meet up with the rest of the family. Unfortunately it appears they did not know Cleaver had done this and spent most the time looking for their missing child and died when Titanic went down. Helen Kramer claimed she had been saved by a man named Hyde who had taken her to England and raised her as his own child. However she also claimed Hyde was none other than Titanic designer Thomas Andrews. However the death of her lawyer and a subsequent fire destroyed the paperwork and ended the story. That is until many years later when apparently her granddaughter found all the papers her grandmother had on the issue and started the whole issue up again. The big difference between 1940 and now is that we have better ways of determining whether someone can be genetically proven to be related or not. The case of Anna Anderson, who claimed to be the only surviving member of the Russian royal family executed by the Communists, was finally put to rest with a DNA test that proved she was not related in any way with them. 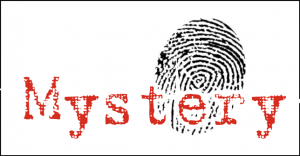 And a mitrochrondial DNA test has now shown that Helen Kramer could not have been Loraine Allison or any other member of that family. From time to time there are news reports about people claiming to see, hear, or feel ghosts specific to Titanic are around. Sometimes it is around objects once owned by those that perished or perhaps in places where they once lived. There is no way to really investigate each claim without going to each alleged occurrence, conduct interviews, and do an on site inspection. Sometimes there is a perfectly rational explanation to strange sounds such as buildings that settle or voices from the outside coming through pipes or vents. It is easy for our eyes to be fooled. The late Arthur C. Clarke related the story of someone spotting a monster in the water between Sri Lanka and India. From a distance it looked like something out of a Jules Verne story as all you could see was the top and something that looked like a trunk. Not to worry though, it was an elephant merely crossing over but the optical illusion that was created by the water, sun, and the half submerged body of the elephant made it look like a monster. More recently some have claimed that ghosts are following the Titanic exhibitions. We have to keep in mind that sometimes promoters of events recall the old carnivals in trying to get people to come in and see the strange creature inside. So putting out stories of ghostly sightings and sounds may draw people in out of curiosity. Certainly when a television show that follows around “ghost hunters” to a alleged haunting at a Titanic exhibition suddenly pops up, the alarm bells ought to be going off as to what is going on here. It is likely there are more logical explanations rather supernatural ones. For now this case file remains open.